Swimming Lessons for Adult and kiddies in Lagos and Abuja. We will like to thank you immensely for your patience and show of love all through our transitioning period from Biscourt apartment (Too crowded) to getting this new swimming pool. Our new swimming pool was purpose built for learners in mind. The shallow and the deep end of the pool is ideal for children and adult classes. Class Duration is still 1 hour. HOW EARLY CAN MY CHILD START TO SWIM ? We allow you pay twice. First payment at the beginning of class and second payment before class number 6. 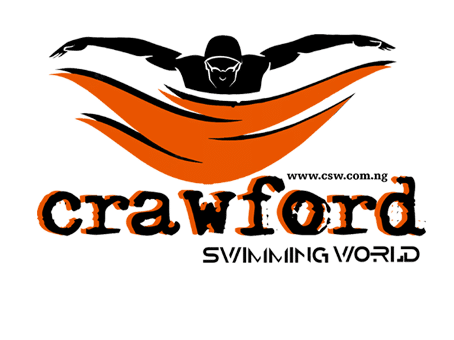 AC DETAILS: 0236802709 Crawford Swim World Nig LTD Gtbank. Please send student’s full name and your email address after payment. Our Yaba swimming pool is located at 3, Andoyi Street, Onike Yaba. Close to MFM headquarters before UNILAG second gate area. We also have evening classes at the Yaba Pool. We are at the pool till 8pm on weekdays.